A bodacious leader embodies three things: an extraordinary commitment to a dream, unrestrained passion to pursue a dream and bold action to realize a dream. Bodacious leaders are passionate about their vision, and understand the importance of transferring their passion for the vision to the team. When people hear them talk about their vision, it is clear they are excited about what they want to achieve and have a plan of action. Bodacious leaders believe in getting sustainable results by being extraordinary, unrestrained, and bold in their approach. They realize ordinary leaders can deliver short-term results; however, bodacious leaders strive to be extraordinary through steady, healthy, long-term growth. Most importantly, bodacious leaders are in for the long haul and have a vision that extends beyond the next quarter or year-end. 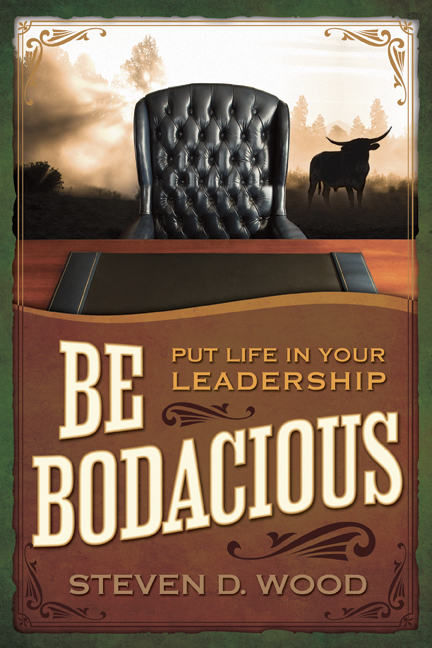 How does your leadership style measure up with the characteristics of bodacious leadership? Are you primarily driven by personal recognition and compensation? Are you quick to sacrifice long-term vision for short-term performance? Do you move from organization to organization in search of the next opportunity to enhance your compensation? If you answered yes to these questions then you are not aligned to the bodacious leadership principles. Unfortunately, the stresses of competing in today’s hectic business environment can blur the vision of what success really means. Pursuit of professional leadership without the same level of attention given to personal and community leadership can lead to unfilled dreams and ineffective leadership. Success in our professional lives must be balanced with humility and self-awareness to avoid the pitfalls of arrogance, pride, and self-indulgence. Ineffective leaders can virtually stampede their herd with threats and intimidation. Team members can feel singled out and belittled by threats and intimidation. An ineffective leader might use fear to motivate, causing people to panic and make poor decisions based on short-term results. When an ineffective leader pushes the team harder toward achievement of his personal goals, teamwork dissolves into self-preservation. 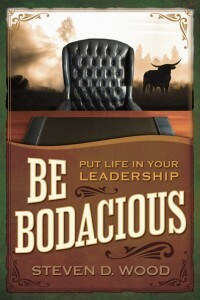 Bodacious leadership is founded on the philosophy that leadership is more than a job title or position. It is about integrity in our work and our personal lives. Bodacious leaders move the team by moving the leaders. They understand that if you move the leaders who are closest to the team, then it is much easier to move the entire team. They have a clear vision and understanding of their objectives; they know where they want to take the team and are passionate about getting to the destination. By leading in both our professional and personal lives, we have the power to affect the lives of people in ways that live on beyond our job title, the current corporate initiative, or our position of power. We can inspire a legacy of strong leadership that will bring forth future leaders of integrity in all aspects of their lives. Valued your comment about integrity being more than a job title or position. Integrity is sourced in our personal influence rather than our positional influence. Thank you for your reply. I greatly appreciate and value your input.